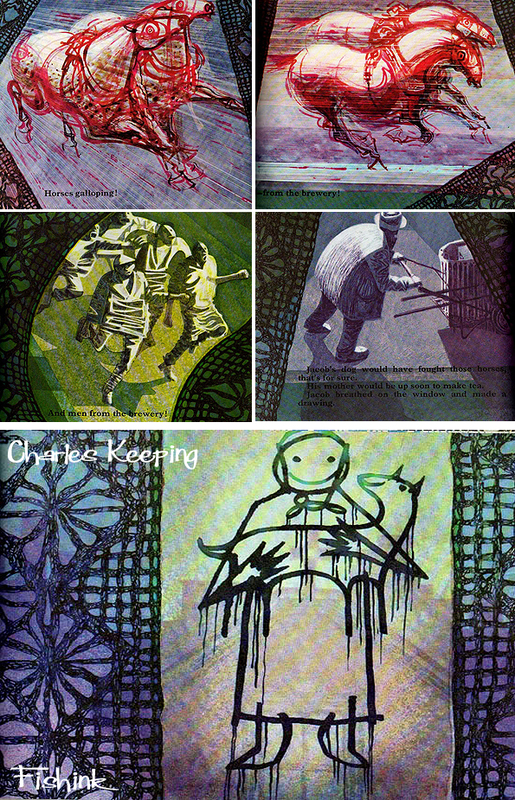 Charles Keeping (1924-1988) an illustrator and lithographer, produced dynamic and emotive images. Born in Lambeth, East London, his secure and happy upbringing had an unusually important effect in shaping both the man and the artist. Entering a working class family, there was no obvious route for Charles to get into art school. He spent his childhood in a house that overlooked an active stable yard, and became a frequent and accurate observer of horses and carts. 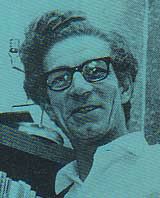 He attended the Frank Bryant School for Boys, in Kennington, leaving at the age of 14 to become apprentice to a printer. He joined the Royal Navy Army at the age of 18, and fought in the Second World War, serving as a wireless operator. He received a head wound which he became convinced would make him become a Jekyll and Hyde figure, but after being institutionalised, he recovered. Determined to pursue his love of drawing, he applied several times to study art at the Regent Street Polytechnic, but was unable to get a grant. He kept on applying, supporting himself by reading gas meters, and continuing drawing in the evenings. It was at the Regent Street Polytechnic (1946-52), where he met the designer and illustrator Renate Meyer, whom he later married. His books explore amazing roads into colour and texture, whilst dealing with solitary, often lonely figures in their tiny worlds. He took various jobs, including cartoonist on the Daily Herald, before starting work as a book illustrator. 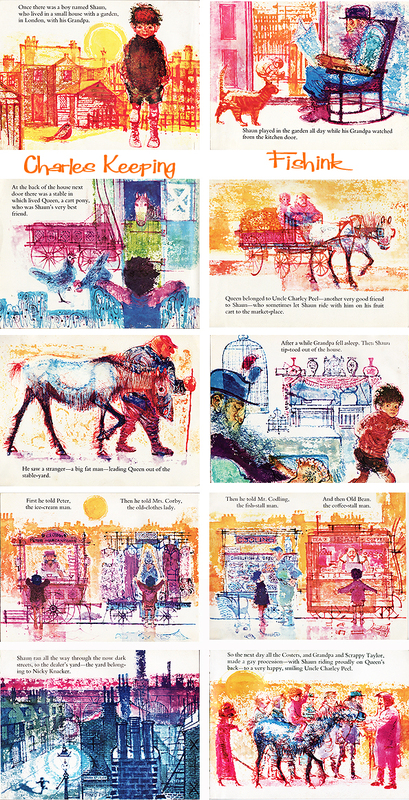 In 1956, he was commissioned by the Oxford University Press to illustrate stories for children written by Rosemary Sutcliffe, and with the encouragement of the doyenne of children’s book editors, Mabel George of OUP, was launched on a career which for three decades made him one of the best known and more prolific illustrators (1960-1980s). 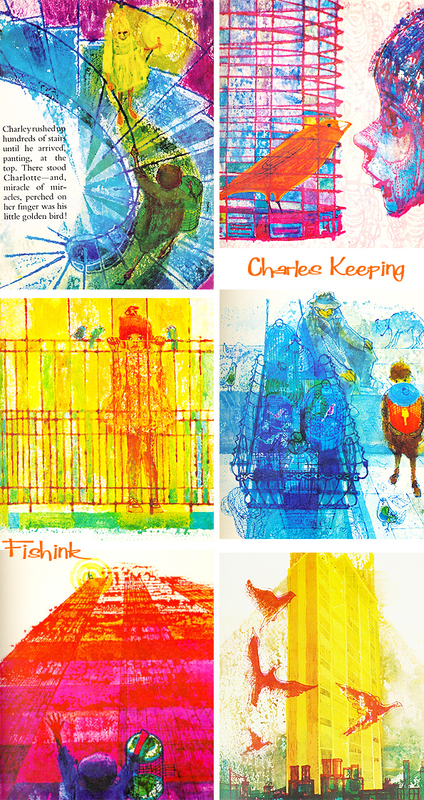 He made brilliant use of colour and the new printing techniques, using a mixture of gouache, tempera, watercolour and inks. He was an early enthusiast for Plasticowell, the grained plastic sheets designed by the printers, Cowells of Ipswich, for lithographic illustrations. 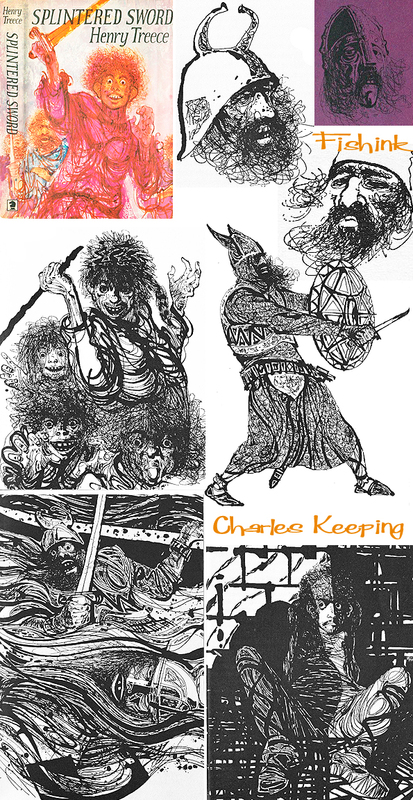 Keeping won the Kate Greenaway award for Charley, Charlotte and the Golden Canary (1967), and again for The Highwayman (1981); he was a prize-winner in the Francis Williams Award for Tinker, Tailor (1968), and for Kevin Crossley-Holland’s The Wildman (1976); and he won the Emil Award in 1987 for Jack the Treacle Eater. 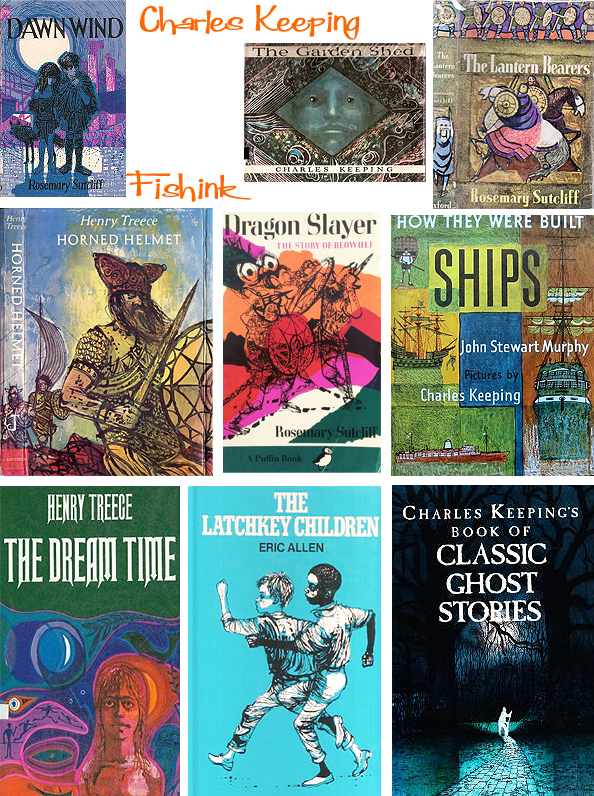 He became particularly well known for his work on historical novels for children, especially tales by Rosemary Sutcliff, which often depicted Vikings, men in battle or war situations. Or similarly for Leon Garfield books about ghosts, creatures from the dark and other sinister characters. His commitment to the immense project to illustrate the complete Dickens for the Folio Society was total, and he completed it just before his death on 16 May 1988. He became the first illustrator to complete a full edition of Dickens illustrated by a single artist. His wife Renate, also an artist, set up a website called The Keeping Gallery so that both of their work can be treasured. Have you ever seen such colour in books before ? Thanks to Matt for sending in these scans after seeing this post. Amazing use of rich shading and textures. Wonderful work Mr Keeping. Subtlety, line, colour, style . 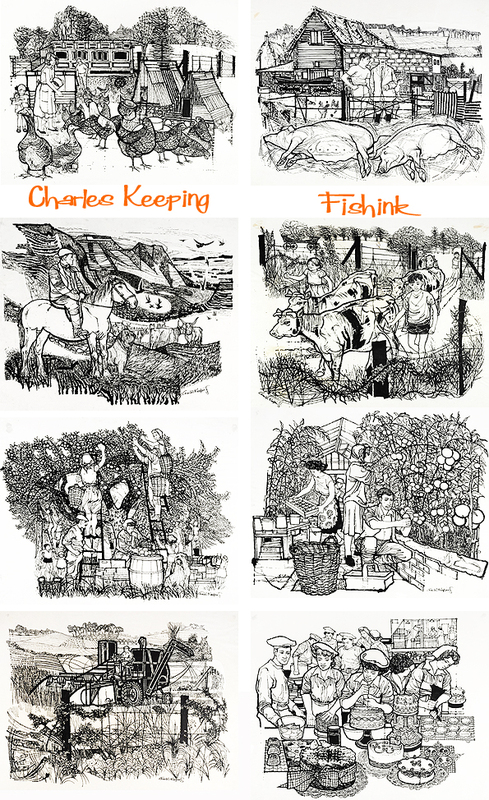 . . . . perfect illustrations for fiction. 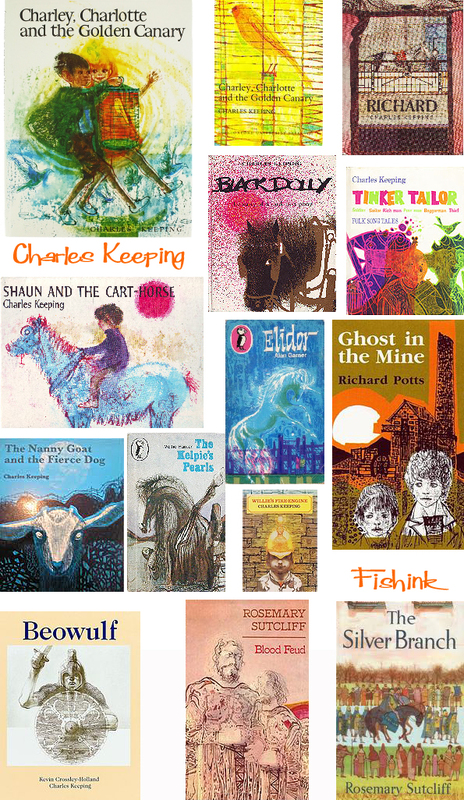 it’s so wonderful to see all this work together, I remember lots of these books from my childhood. Thanks Kate. I’d never come across his work until fairly recently. 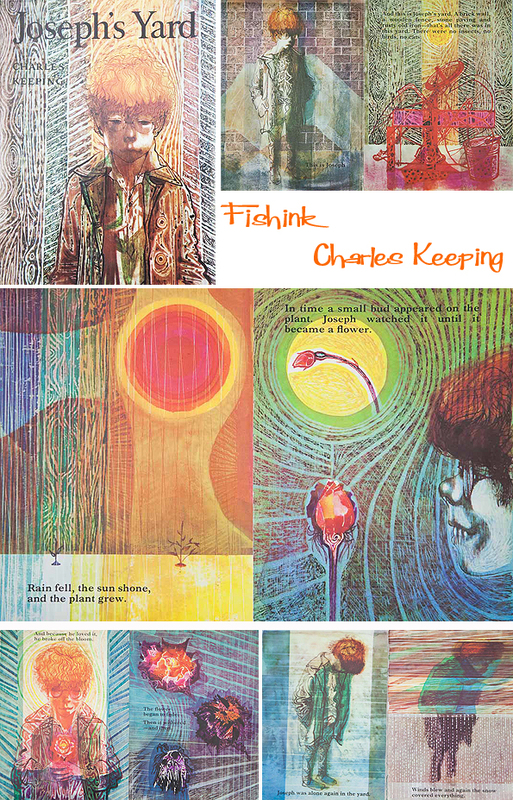 A real treat to stumble across this wonderful collection of Charles Keeping’s work. Thanks so much for posting. My pleasure Kitty. Glad you enjoyed the post too. My mother was a teacher and I spent many hours in the school library in the 1970’s, waiting for her to finish marking books before we left for home. 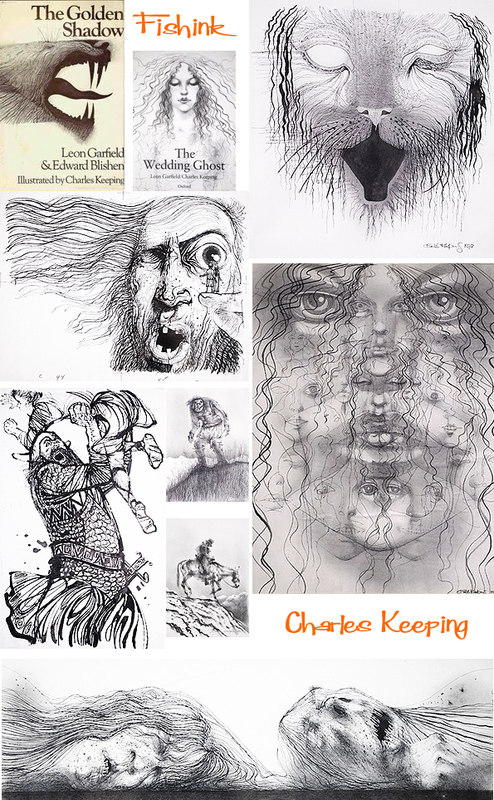 Seeing a collection of Charles Keepings illustrations gave me a ‘going back in time’ moment, I remember many of them, some scary, all fascinating to my child eyes, whilst sitting there absorbing all those books. I was in another world whilst waiting to get home for my tea. Thank you.